Whether you require commercial fencing to secure your property or residential fencing to protect the safety of your children or animals, we can give options for your security and privacy. The Fort Collins fence companies that we work with offer residential chain-link, farm fencing, strong wood fence constructions, ornate landscape designer fences and more. Whether you are interested in getting a particular look for your property or you might be interested in finding a budget-friendly alternative to secure your property, we can help you with many options. 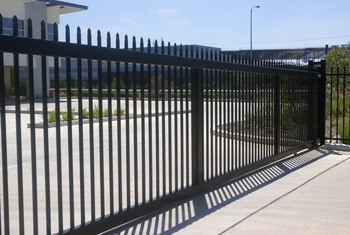 Everyone is extremely knowledgeable and have many years of experience in the fencing industry. 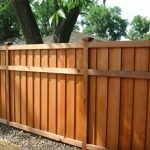 If you are looking for the best Fort Collins fence repair company or new installation, our professionals are the right choice. Because of the experience as well as a commitment to honesty with customers, you will get a reasonable and honest quote. Customer satisfaction is paramount and you will receive constant communication and realistic deadlines for completion of any fencing project. As well as delivering honesty and integrity, our fence professionals are also committed to working with some of the best materials in our industry. We have created partnerships with some of the world’s biggest fencing manufacturers and many of the lumber yards/hardware providers in our area. As a result of these strong partnerships, we are able to offer some of the most competitive prices on fencing in Fort Collins. To learn more about fencing services or to find out the types of products available, get a free estimate today for your commercial or residential fencing needs. 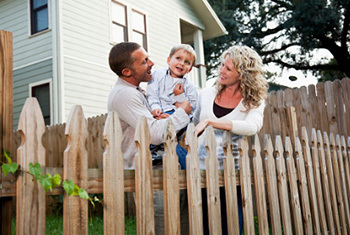 You may not have considered buying a fence previously, but if you haven’t then you really should start now. 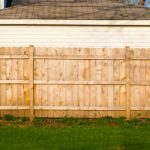 It’s hard to not stress on reasons people need to buy fences, and some of those are maybe one’s you might not even be aware of. That’s alright, though, because, by the time you finish reading … Continue reading "Top 4 Reasons to Add a Fence to Your Property in Fort Collins"
A new fence can be a great addition to any home owner’s property. Not only are you able to gain privacy with it, but it can increase the feeling and security around the home. 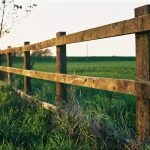 Fences serve a multitude of purposes and while you might be happy about getting one, your neighbors, on the other hand, … Continue reading "How to talk to your neighbor about adding a fence (and splitting the cost)"
You’ve decided to purchase a wood fence in order to gain privacy and security for your home. What a great decision it can be, as you can this new sense of freedom and enjoyment that can come with installing and purchasing a wood fence. 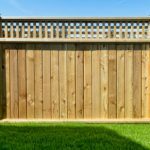 Northern Colorado fences has a great selection to choose from and … Continue reading "How to maintain a wood fence in Fort Collins"
There are a number of top considerations for homeowners to make before building or hiring a contractor to build a fence. If you need a Fort Collins fence company, here are some of the top considerations that you can keep in mind when you are picking out the ideal type of fence for the needs … Continue reading "How to choose the best fence for your yard in Fort Collins"